This is a weird one: there haven’t been very many rotary-powered motorcycles like this W2000, and Hercules is certainly a forgotten marque. 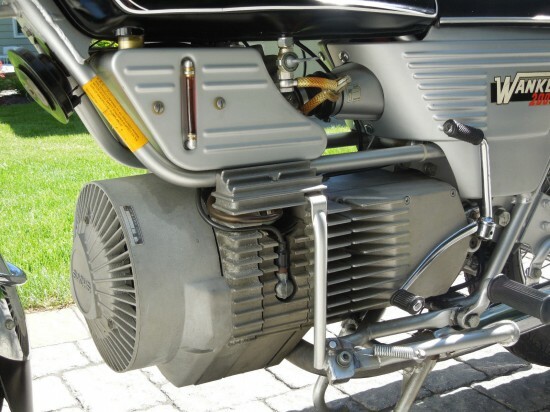 Producing a mere 32hp from its single-lobe rotary, the bike was more of a commuter than road-burner, although a six speed transmission and the rotary itself indicate that something more than simple efficiency were the goal here. Parts of the design are fascinating: that little clear feed tube for the oil-injection system is a pretty cool detail and the large cooling fan at the front of the motor is distinctive. Unfortunately, the bike was plagued by poor finish, relative unreliability, and a motorcycling community that wasn’t sure what to make of it. In addition, the typical rotary questions with regard to “how do you quantify displacement” reared their ugly head: insurance and taxation were [and generally still are] determined by displacement, as a relative measure of the power that can be generated. But rotaries can’t really be classified in quite the same way as piston engines and, when insurers decided to categorize it as a much larger-displacement machine, it drove a final nail into the coffin of what was intended to be a technologically sophisticated, lightweight and economical commuter. 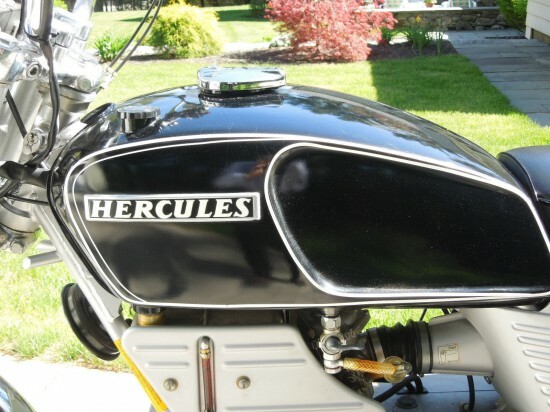 This is a 1976 Hercules W2000 Rotary powered motorcycle in excellent condition. 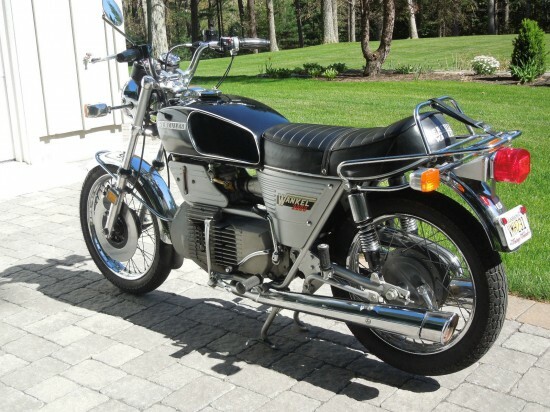 It is an extremely rare motorcycle and very few 1976 W2000s were imported into the United States. This 1976 model has the oil injection system so you don’t have to premix the oil with gasoline like on the 1974 and 1975 models. This is one of a very few that is in excellent running and can be driven on a daily basis. The bike has new tires, battery, and transmission oil. All functions on the bike work well. 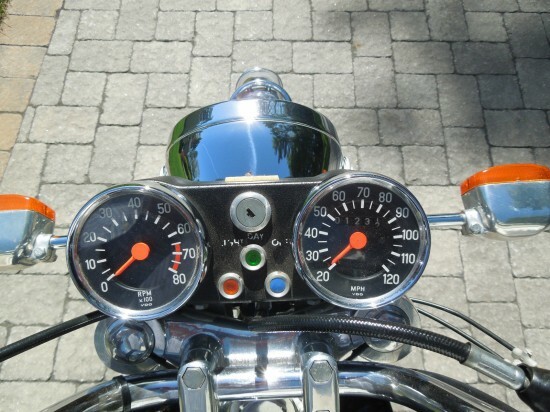 The bike looks new, the chrome shines brightly, and the seat is soft with no tears. So, not very fast or practical, but pretty interesting and collectable. 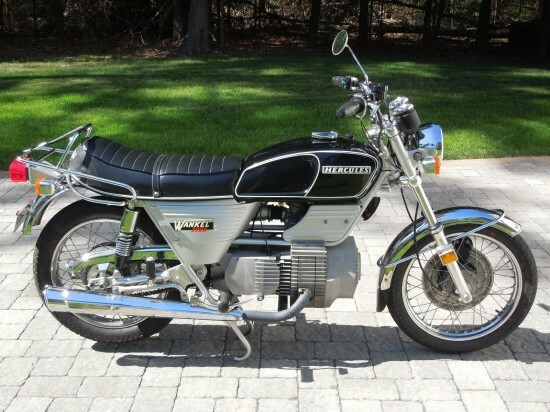 And, from this video [not the bike for sale], pretty neat-sounding as well: Hercules W2000 start up and ride away. Not much time left on this auction, so all you engineering-nerd types, go check your bank statements and get to bidding!